Once logged into Webmail please click on Settings on the top right corner. 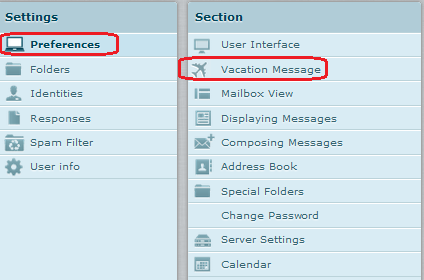 In settings, click on preferences and then click on Vacation Message. Please enable the Auto-Responder by checking the box. Please remember to save once you have finished typing your message.